For all those who are not familiar with the MIDI protocol and who have come across this site out of curiosity, we decided to open a page to provide the basics to approach the world of MIDI controllers. A really simplified introduction to understand MIDI on the fly. A more detailed overview of the way in which MIDI messages are structured numerically and how they are read in an Arduino environment. The best way to quickly understand is the direct experience, so let’s try the MIDI monitor. 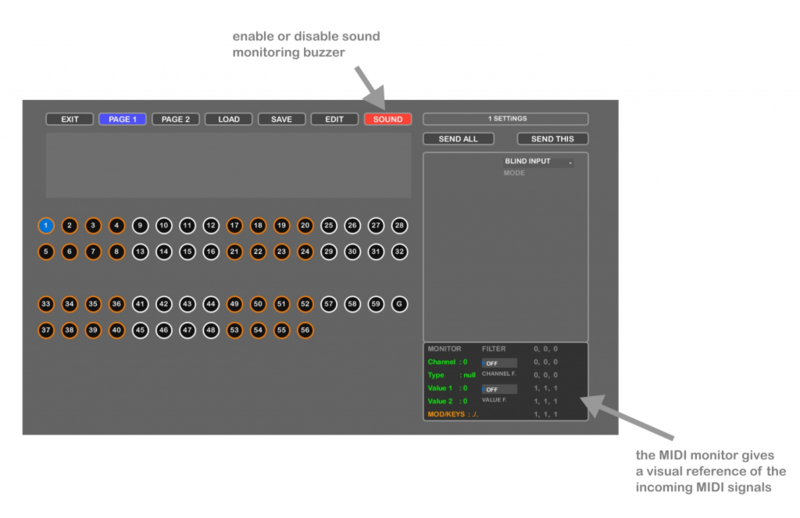 The MIDI_Monitor is a part of the DART_Editor, and it makes the incoming MIDI data readable and audible. At startup, choose the MIDI IN/OUT ports of your controller. and a flow of numbers in the MIDI_Monitor section. Reading the 3 bytes of a MIDI message. look at the section C and press a button of the DART controller. a MIDI message is commonly transmitted in 3 bytes, as shown in the Raw_Data monitor. 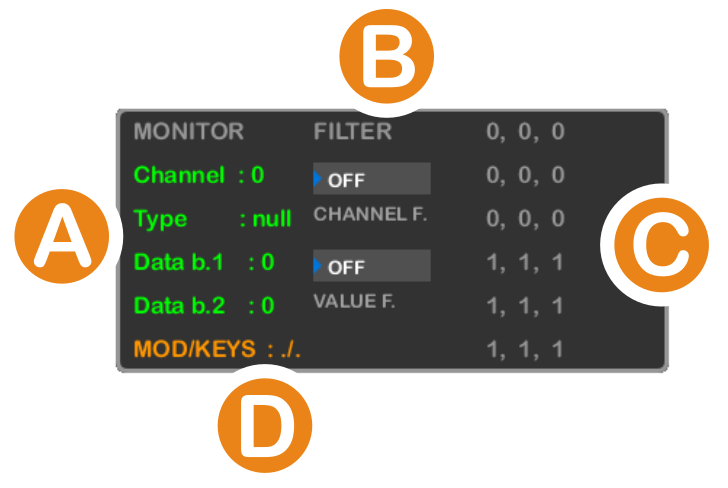 More infos about the MIDI_Monitor are contained in the DART_EDITOR guide. Status byte – it tells us that a NOTE is played or stopped and on which channel (16 channels are available). Data byte1 – it tells us what the pitch of the note is. Data byte2 – it tells us what intensity (velocity) the note has. 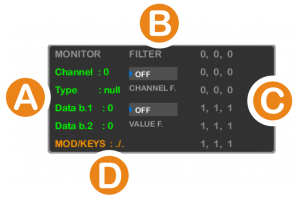 Status byte – it tells us that a CC (Control Change message) has been emitted and on which channel (1-16). Data byte1 – it tells us what the number of CC is. Data byte2 – it tells us what position (from 0 to 127) the knob has. the content of a MIDI message can vary greatly according to the use of different types of control (a pitch bend wheel, a dj jog wheel, a percussive pad and so on).